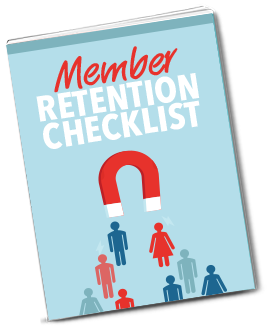 Member retention is critical to the long-term success of your membership website. It costs 7-10 times more on average to win a new member than it does to hold on to an existing one; and if you’re losing more members than you bring in then your business won’t last long! In this article, we’re giving you 21 quick tips for improvements you can make to your membership strategy in order to improve your member retention. Getting members off the the right start increases the chances they’ll get results and stick around for longer. Help people to get a positive result – however small – and you’ll build goodwill with those members. Some people need to have their hands held a little more in order to avoid overwhelm, so a roadmap can help keep them on track. Not knowing where to start can cause frustration that will lead people to leaving. It’s easy to make assumptions about what our members want. Regularly survey them to ensure you’re meeting their needs. Sometimes short-term circumstances mean someone needs to take a break from your site. Giving them the option to pause can often be better for you than their only option being to cancel. Similarly if you have multiple membership tiers or payment structures, then allowing people to upgrade or downgrade on their own terms gives them more options if they’re considering cancelling. If someone is thinking of leaving because they can’t afford your membership, then having a “downsell” option where they can move to a cheaper version of your membership that doesn’t have as many features/as much content but is more cost effective could save that active member. Similarly if your membership includes tools, services or software that a member would need continuous access to; the prospect of losing that access will be a powerful motivator to keep members sticking around. Members love acknowledgement and being made to feel special and recognized; so having somewhere to celebrate those “wins” can go a long way. Providing a means of keeping members accountable can improve the chances of them getting positive results, which in turn can prolong their membership. The act of documenting that progress helps people to see the worth of being part of your membership. Sometimes your members will want more than you’re offering, in terms of access, support and facilitation. Offering a premium version of your membership as an upsell is a great way of catering to those members and avoiding them leaving because they’re not getting what they really want. Releasing content over time is a simple way of keeping people subscribed as they’ll want to consume the full series. Not only are testimonials great for marketing, but asking for them encourages people to reflect on the positives of your membership – and others seeing such testimonies will be encouraged by the prospect of similar outcomes for themselves. If you’ve over-complicated your pricing structure then there’s a greater chance people will leave because they weren’t expecting certain charges or didn’t fully understand what they were signing up for. Overwhelm can often lead to members “checking out” and never really getting started with your content, so try making it easier to consume. Your membership is a potentially global business – account for people in a variety of timezones when scheduling live event. Some membership plugins such as MemberPress have this option built into them. Take advantage of it. Find out the reasons why people leave in order to identify any opportunities to fix problems and make improvements. 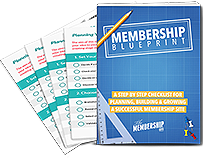 Want to learn more about how to drastically improve member retention? 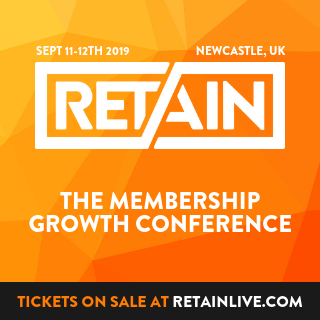 As a free gift for attending we’ll also send you our retention tactics checklist, which gives even more quick tips for improving member retention. This masterclass is absolutely free, and is essential training for anyone running a membership website – so click here to register for the next available timeslot.